Dont know what to buy for that special person or occasion?? Trail Tough Gift Certificates are available in the denominations listed. From $25.00 to $1000.00. 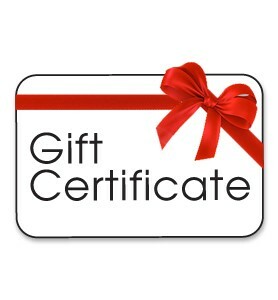 If you would like a gift certificate in a different amount please contact us by phone toll free 877-SUZUKIS. At checkout – in the “Order Notes” section of the online ordering process, simply fill in the name of the person you want it made out to, as well as delivery instructions and we will send it out UPS, or we can fax it or email it to you. Provide us with the mailing address, fax number or email address.